In today’s Spotlight, instead of talking about a single person, we would actually like to acquaint you with our Lansing, MI campus. The Dorsey Schools Lansing, MI campus in conveniently located in south Lansing and offers a variety of training programs to help our students prepare for exciting new careers. What Training Programs are offered at the Dorsey Schools Lansing, MI campus? Where is the Dorsey Schools Lansing, MI campus located? The Dorsey Schools Lansing, MI campus is located at 6250 South Cedar Street in South Lansing, next to Goodwill, behind Applebees, and in close proximity to Meijers. Our campus is easily accessible from I-96 and we are also close to the bus line, and the #5 and #9 drop off near our campus. We are conveniently located to nearby communities such as Lansing, Holt, Charlotte, Eaton Rapids, Mason, Portland, and Webberville (just to name a few). What’s it like at the Lansing, MI campus? For those interested in training at the Lansing, MI campus, we invite you to visit us to not only tour our campus but also meet with admissions for a one-on-one career planning session. Yes. Our faculty and staff at the Lansing, MI campus is committed to helping our students succeed. Throughout your career training program, you’ll have various resources available to you across multiple departments. At any time if you need assistance, please let us know and we’re happy to help any way we can! How long will it take to complete my career training program at the Lansing, MI campus? That depends upon which program you pursue. Each of our allied health programs at the Lansing, MI campus are designed to be completed in a year or less. Our Cosmetology program is a 1500 clock hour program and is designed to be completed in over a year. Actual completion time will vary by program and may vary by student. Yes, Dorsey Schools programs offered at the Lansing, MI campus have an emphasis on hands-on training. Students can benefit from traditional classroom instruction as well as hands-on training. Hands-on training can take place in both the labs on campus as well as during the externship (for selected allied health programs), which takes place during the final module of training. For students enrolled in our Cosmetology program, they will have the opportunity to gain hands-on training (while supervised) in our on-campus beauty clinic, where cosmetology services will be provided to the public, who may be charged for the services rendered by students. Our next class at the Lansing campus starts on May 16th. Interested in learning more about the Dorsey Schools Lansing, MI campus? 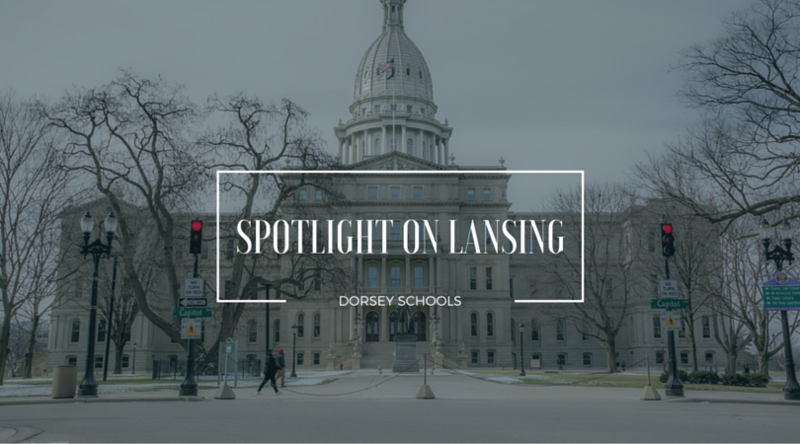 Dorsey Schools is Adding a New Technical School in Lansing, Michigan!